Can an average person actually make money as a Team Beachbody Coach? It only costs $39.95 to start. Is it really possible to make $350 in my first month? Do I have to chase my friends and family? Make cold calls? Talk to strangers? Will I have to study and become a personal trainer or fitness expert? NO! We help people get started and stay motivated. Anyone can do that! Ok, so wait a second. I can start my own business for $39.95. I have the possiblity to make up to $350 my first month, and I don’t have to chase friends or make cold calls. How is this possible??? We are Team Beachbody. 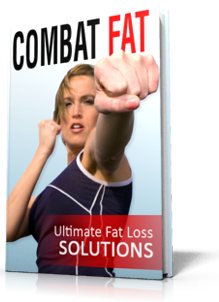 We have the complete formula for people to get fit, lose weight or accomplish their health and fitness goals. The formula is really simple yet powerful. Follow the simple formula, use our team’s resources, and you will be helping people and making money almost immediately. The formula is Fitness + Nutrition + Support = Success! We also have all your nutrition needs covered. Start with our Premier Health shake called Shakeology. With over 70 Super Food ingredients, you’ll know that you are getting the nutrition your body needs to make a dramatic transformation. What about Support? Well, this is where you come in. We need more Coaches!!! We have more leads, clients and customers than we can handle. So many in fact that everyone who calls the 1-800 number from the infomercials (I know you’ve seen them. They are on all the time!) is assigned to existing Coaches. Yep, that’s right. Beachbody actually gives it’s customers to the Team Beachbody Coaches. Why would they do this? Why would they give customers to the coaches? Because Beachbody knows that without support people may have a difficult time sticking to the program. They want everyone to be successful. Can you organize people into small accountability groups? Can you help people stay on track? Can you motivate them? That’s all it takes to be a coach. Ok… So, this all sounds good. How do I make money? It’s all about Beachbody Challenge Groups. We took our most popular products and bundled them together at discounted prices. We’ve made it super easy for people to get everything they need to be successful including their own personal coach. For example. The P90X/Shakeology/VIP Club membership bundle costs $205, and includes free shipping. A bundle discount savings of $44.69. Each Challenge Group is made up of 5 people plus their coach. If you invite 5 people to join your Challenge Group, you will receive $70 commissions on each P90X Challenge Pack. Or, a total of $350!!! In addition, you’ll receive residuals on the Shakeology and Club memberships for months 2-3 and beyond. Repeat this simple process. Start a new group every month, and before you know it, you are making some serious $$$! All for helping and motivating people to get in the best shape of their lives! So… The question is… Do you have a passion for helping people? Can you invite people to join a challenge group where they get everything they need to finally succeed in their health and fitness goals? If the answer is yes, then please complete the form below, and I’ll get a hold of you. My Team of Coaches is here to help you get started. We know what works. We will not only show you what to do, but we will actually work directly with you to make sure your first Challenge group gets off the ground quickly. You’re success is our #1 priority. We have the training and resources to get your business up and running succesfully right from day one. Don’t just take my word for it. Look at this Audited Independent Statement of Earnings. You’ll see how much Emerald, Ruby, Diamond and Start Diamond Coaches make. Ready to get started??? Fill out the form below. Want to get started right away? Call me at 920.202.4299 and I’ll take your application over the phone. What is Team Beachbody, and how can it help me reach my fitness goals?